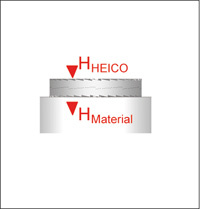 The surface hardness of the Heico-Lock® wedge lock washers is greater than that of structural grade and high tensile bolts (8.8, 10.9 & 12.9) and should always exceed the hardness of the mating surface. Radial teeth on the outside of the washers grip into and seat the mating surface in the tightening process. 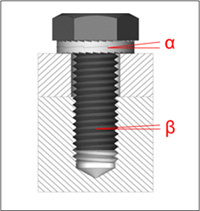 The wedge angle (α) between the Heico-Lock® wedge lock washers is greater than the pitch (β) of the bolt thread. 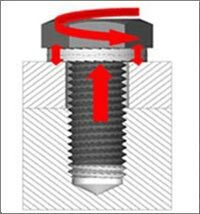 This angle means the expansion in thickness of the Heico-Lock® wedge lock washers is greater than the possible longitudinal movement of the bolt along the thread. An expansion in thickness of the Heico-Lock® wedge lock washers as a result of loosening leads to an increase in the clamping force. 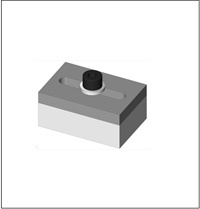 This causes an increase in the preload compared to when in a static state and thus causes the bolt to self-lock. The wedge-shaped surfaces have a considerably lower friction coefficient (µi) than the toothed outside of the washers (friction coefficient µa). 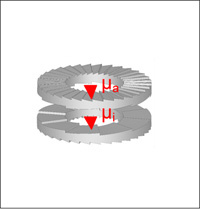 Loosening caused by dynamic stresses causes movement between the two washers in the region of the wedged surfaces. Large O.D. HEICO-LOCK® wedge lock washers are recommended for use on large/long holes (for example with flange nuts or screws), painted surfaces or soft materials, for example aluminium.